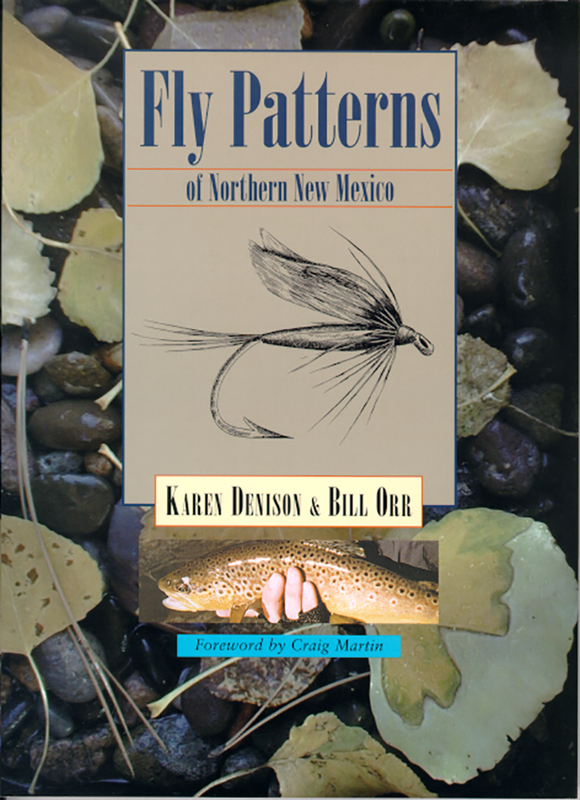 The fifty fly patterns described in these pages have proven reliable in the fly-fishing streams and rivers of northern New Mexico over many years. Developed by thirty locally respected tyers, they are not widely known or sold commercially outside the region. None are either legally patented or copied from widely known standard flies or patterns. This rich and varied group of patterns reflects diverse approaches to fly-fishing and tying. The authors organize the fly patterns by type: dries, nymphs, wets, streamers, midges, and terrestrials. Each section describes the shared traits of the flies, their construction and usefulness, and the best methods for fishing with them. The description of each fly includes a thumbnail history, recipe, tying instructions, and a photograph. An appendix provides recipes for additional useful patterns described in other manuals. The authors cannot guarantee fly-fishing success but they do promise fun at fishing and tying. Karen Denison is a Federation of Fly-Fishers–certified casting instructor and assistant manager of High Desert Angler in Santa Fe, New Mexico. Bill Orr, an avid fly tyer from childhood, has been a commercial tyer since 1986 and is a manager of High Desert Angler.